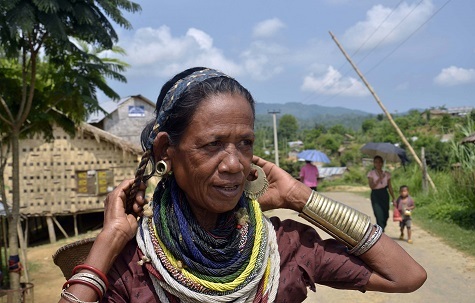 Mizoram Bru Displaced People’s Forum (MBDPF), the apex body of displaced Bru families in Tripura, came down heavily on the Mizoram government for ‘abruptly aborting’ re-identification process of the Bru refugees. Notably, during August 16 to 18, Mizoram officials conducted identification of Bru families – whether or not they are willing to return to Mizoram. The officials also conducted re-identification of those families who have been left out during identification process in 2016. The forum alleged that Bru refugees of relief camps were reluctant to turn up for identification as the Mizoram officials ‘declared publicly’ that they came for collection of names of those who were willing to repatriate on August 25 and to conduct re-verification of those who were already identified in 2016 followed by re-identification of those families, who have been left out in 2016. This was, however, which was against the term of agreement made by the joint monitoring group on August 10 in Tripura. According to the forum, refugees wanted that repatriation should start only after the completion of some works to be carried out by the Centre and the governments of Mizoram and Tripura. Meanwhile, the forum on Monday wrote to Union Home Secretary, Rajiv Gauba informing him that the tribals were willing to return after completion of the ongoing process of updating Aadhaar, population, opening of bank accounts, re-identification of left out families, conducting socio-economic caste census and revision of electoral rolls of the Bru refugees in relief camps.